Peštan PP Strong pipes and fittings are produced of PP material by the newest technology of pipe extrusion and fitting injection. PP STRONG pipe system for all kinds of waste water is made as homogeneous fully-walled pipe without mineral additives with extremely smooth inner surface according to EN 1852. Both pipe and fitting in the PP STRONG range are intended for areas with great static pressure, such as airports, highways and railroads. PP STRONG system is universal and can be used for removing all types of waste waters in low construction. Installation and manipulation of the pipeline elements is very simple and is described in the following chapters of this technical manual. Pipes are connected with fittings, while the waterproofing in connections is provided by rubber rings (safety lock) made of EPDM rubber with plastic reinforcement. 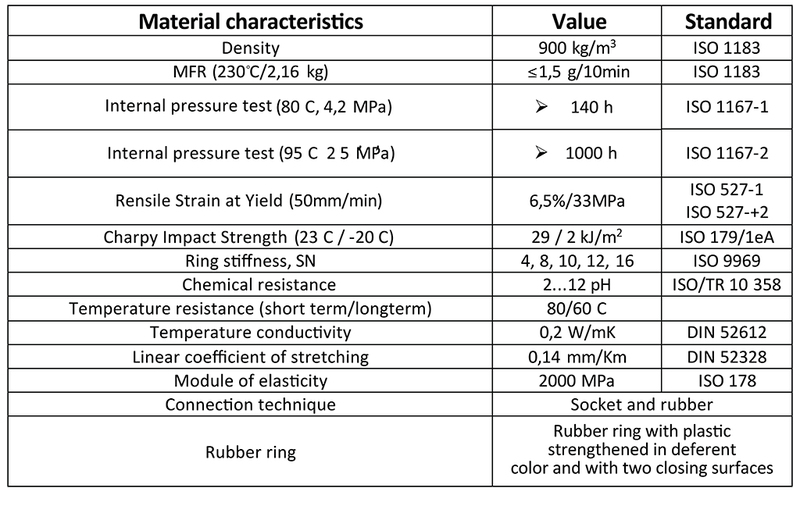 Inner layer of PP STRONG pipe is very smooth, which results with excellent hydraulic characteristics, high resistance to abrasion, and preventing subsidence on inner layer of the pipe. PP STRONG pipes are resistant to corrosion and their life span is 50 years if used properly. Production range of Peštan PP STRONG pipes for transportation of all kinds of waste water includes the pipes produced from high quality polypropylene, in diameters from Ø110 to Ø500. Pipes are produced with factory-installed double muffs, in standard lengths of 1m, 2m, 3m, 4m, 5m, 6m, as well as in non-standard lengths of 12m, 13.5m, 16m. 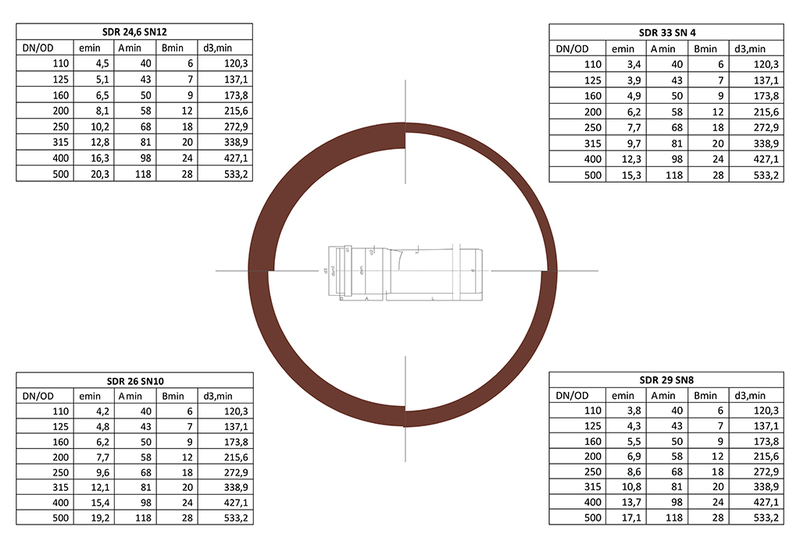 Peštan is able to offer a complete range of fittings in all appropriate diameters (from Ø110 to Ø500). Peštan PP STRONG pipes and fittings for transport of waste water, are being merged by sockets, and water resistance is achieved through the sealing rings made of EPDM rubber (EN 681), which are inserted into the socket. Installation, jointing and testing of this type of pipeline is carried out according to the applicable European standards and guidelines (EN 1610). For needs of waste water sewage construction in Sajlovo, Novi Sad investor hired construction company Bulevar, who built in full walled smooth PP STRONG pipes made in accordance with EN 1852, class SN10. Total length of pipes applied was 3km of diameter 250. Total worth of delivered merchandise was 60.000 EUR.